Since its inception, Seksun has continued to invest in Technology and processes to provide our customers the best-in-class turnkey solution. We engage our customers from the early stage of design conceptualization to the delivery of the finished products. 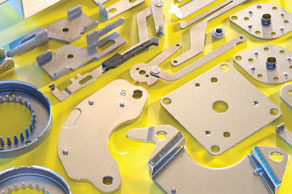 We are a regional leader in Precision Metal Stamping, with vertically integrated operations in Plating, Form-in-Place Gasket (FIPG), Cleanroom and Mechanical Assembly. We place strong emphasis in supplying High Quality Products to our customers. It is in this mindset that we embrace Six sigma and proliferate its tools throughout our organization. Personnel were trained with sophisticated real-time SPC monitoring in our production shopfloors and Chemical Laboratory was also set-up to compliment our manufacturing processes.